Let’s face it, people don’t always bring their best self to work. Instead they walk through the doors each morning emboldened by ego, power, arrogance, stupidity and gossip. This is why tempers flare and situations escalate. It’s bound to happen when people are crowded together all day long in tight quarters under stress with no fresh air and limited sunlight. It’s the perfect recipe to heighten everyone’s crazy. Join host and executive coach Peter C. Diamond as he interviews people who share humorous stories of their own office dysfunction. In between fits of laughter, together they help make sense of office nonsense. 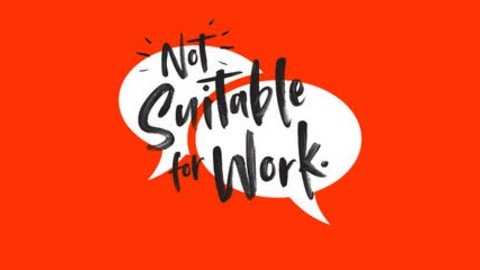 Don’t worry, no careers were harmed in making Not Suitable for Work. New episodes available on Wednesdays. 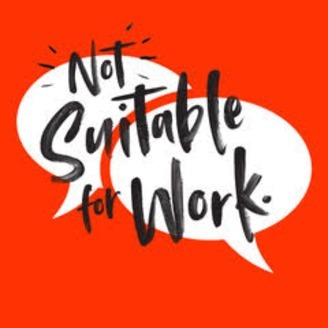 It seems only fitting to finish the first season of Not Suitable for Work with a “Best Of” episode. I've combed through the nearly forty episodes to find these little gems. Listening to each episode again had me cracking up.